Chapter VII of Season 1 was just completed in the global version of Mobius Final Fantasy a week ago, but in Japan they're now about to begin Season 2. Season 2 will begin in the Japanese version of Mobius Final Fantasy on April 11, 2018. Those of us playing the global version can expect it in early 2019. We have Chapter VIII, the Final Fantasy X event and more to look forward to in the mean time. In addition to this various details and new artwork were revealed in the latest livestream for the game. Among this was the reveal of Yoshitaka Amano's new logo for the game which you can see above. They also showed off the new improvements and changes to the game's battle system with plenty of gameplay. 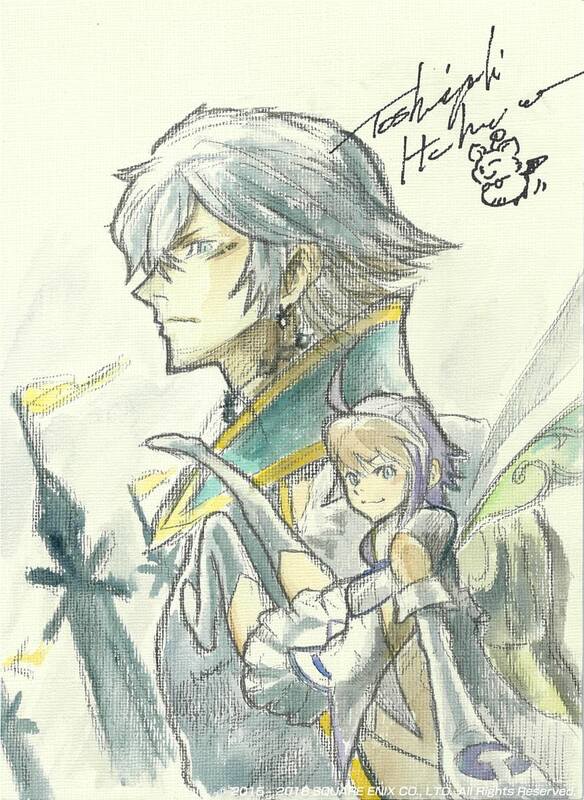 Finally, Mobius' character designer Toshiyuki Itahana drew some gorgeous art of our player character and Echo live. You can check it out below. You can check out the livestream in full here. Mobius Final Fantasy is available worldwide on the Apple App Store for iOS devices, the Google Play Store for Android devices and Steam for PC. The PC version features support for 4K and 60fps.